Tata Nano price starts at Rs.2.36 lakh (Ex-Showroom, Delhi) and the top end variant Tata Nano XTA is priced at Rs. 3.35 lakh (Ex-Showroom, Delhi). Tata’s Nano features a teeny tiny 624cc, two-cylinder petrol engine. It makes (wait for this) 38PS of power and 51Nm of torque. 0-100kmph takes, well, forever and it tops out at 105kmph. But that’s not the point, is it. The Nano delivers in spades if you’re looking at a quick, peppy city runabout. The optional 5-speed AMT gets a thumbs up from us for the sheer convenience it offers. Q. Apki khushiyo ki chhabi kaisi hai, are you satisfied nano? Q. Is it good for long distance travel? Yes, a safe and fuel efficient on highway,I have traveled from Bangalore to Viskhapatnam and returned safely a total of 2800kms( I was on pilgrimage tour with my wife) in a week's time. Q. What is Nano paid service charge? Q. As I have a nano genx xt and it's ran 60000 without any problem. So I want to purchase another one genx xt model. Can I still purchase? Or its production stopped? YES. THE PRODUCTION OF NANO HAS BEEN DISCONTINUED. HOWEVER YOU CAN APPROACH UR NEAREST TATA MOTORS AUTHORIZED AND THEY MAY ARRANGE TO MAKE IT AVAILABLE FROM THEIR AVAILABLE STOCK IN HAND. Q. 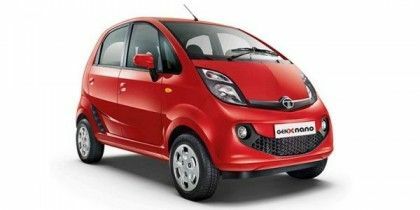 HOW IS THE PERFORMANCE OF NANO XTA IN CITY CONDITIONS SUDDEN PICK UP MILEAGE AND FOR LONG TRAVEL? Q. Car chalne m kesi h?